In order to maintain balance during operation and when the machinery is at a halt during road transfers, these loaders have been engineered with a "central column" system, with the central axis fitted in the middle. 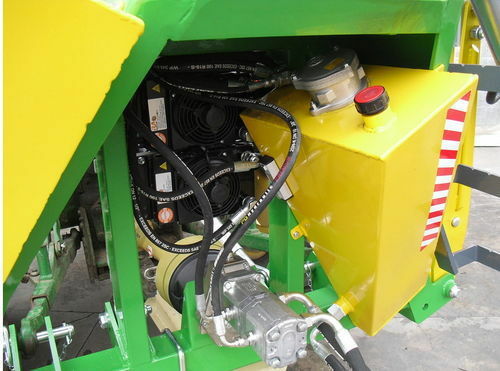 This system avoids jolts or the tractor from turning over, when driving up-hill or down-hill. TheTFC3000 / TF C3500 / TFC 4200 / TFC5100/TFC6000 FORESTAL loaders are mainly used for timber lifting and handling. These loaders allow handling at considerable heights. 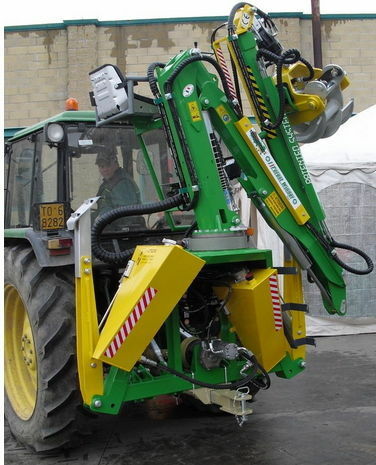 This loader is operated directly by the operator's front side controls.The TFC3000 FORESTAL is fitted with ground side controls and without a seat. The difference between the TFC3000 / TF C3500 / TFC 4200 / TFC5100/TFC6000 FORESTAL models is in the arm length, which also determines the identification code. 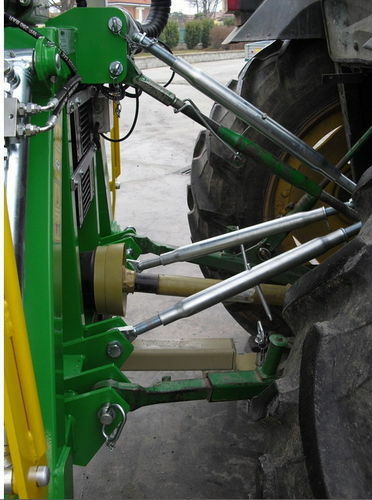 The forestry crane (patented system) is used mainly for lifting and handling of timber. It can be assembled on a transporter, two-wheeled tractors (Caron , Carraro, Goldoni), chippers and tractors, even with small engines, with three-point hitches. The cranes are designed to allow movement of materials at a substantial height. This crane is controlled directly via the commands positioned in from of the operator’s seat. Thanks to the special structure of the arms, it is possible to use the entire lorry body, even the part nearest the crane, where other loaders are inefficient.